A blog and The Life In Between : San Francisco. Living in Los Angeles is a true paradise! Being surrounded by so many great cities to travel to in such a short amount of time is a blessing. Sometimes we get so wrapped up in our daily lives we forget to appreciate on our surroundings and we only see a big picture. I am all about planning little short trips to San Francisco, Palm Springs and Vegas that take no time and it still feels like a real vacay. Trip to San Francisco was a super last minute getaway - thank god flights are never too crazy when traveling near. I booked the getaway on Tuesday and on Friday I was already lounging and having a drink in my favorite - SAN FRAN. I am absolutely in love with the city, even though it is only an hour flight and is drivable distance there is something so different from LA about it. 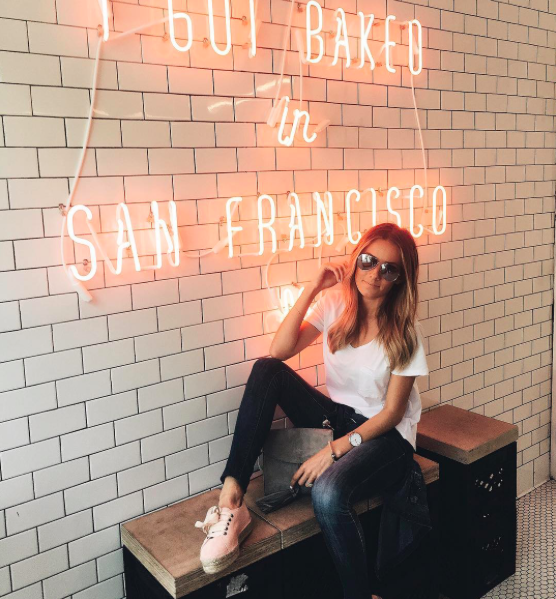 Every turn you make on those crazy San Francisco roads has something new to offer - whether it is a cool "hole in a wall" bar or a new cool coffee shop. Everything taste better there! (but does't everything though when you are on vacation hehe). We tried to make this trip a little different from the last one and see San Francisco through a different lense. Instead of walking though the tiny streets or uber'ing around town we decided to rent out bikes! Yes - bikes... and it turned to be an entire day adventure! If you are going out there I highly recommend to bike through Golden Bridge. It offers a completely different experience than driving through and just snapping photos. Everything about that day was romantic and fun - bicycling through the city, the bridge and feeling the breeze while enjoying the beautiful view all around! Here are some snaps from my favorite SAN FRAN spots (including Farm Table above). Pit stop to observe the beautiful San Francisco. 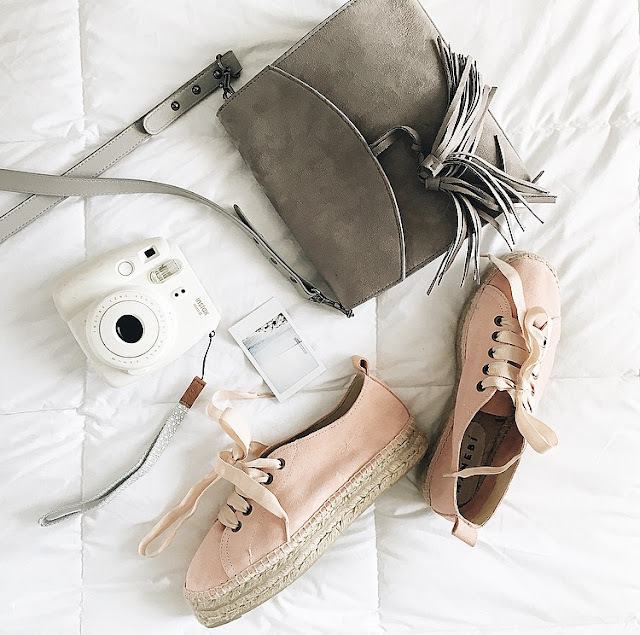 What's in my luggage: Express handbag, Manebi shoes. Mr. Holmes Bakehouse has endless options of all the baked goodies! Great place to splurge at ladies. Exploring China Town and their street markets. I have been seeing many pictures of these yummy looking pizzas on my IG lately so I had to pop-in there and try it myself! It was everything I expected and more. Exploring San Francisco. Shoes by Alias Mae. San Francisco is my favorite spot to spend my summer, i think you had great time their.